Written by Mike Sabot, member of Glasgow AFed in a personal capacity, this article aims to respond to the rise of the Scottish independence movement and to encourage a libertarian socialist critique. One way or another, the political landscape in Scotland and Britain as a whole is going to change after 2014 and it’s difficult to say what course this will take. Although polls consistently show the SNP-led Scottish Government has a long way to gain majority support for independence, it’s quite possible that they could bring about a swing in opinion. But even were they to fail in achieving full independence it seems inevitable that Scottish institutions will take on more powers and that the process itself will have a lasting impact on Scottish society. 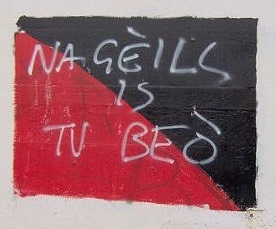 As committed internationalists, anarchists oppose nationalism in any form. Rather than simply repeat long-standing principles, however, we need to articulate some kind of an analysis and ask ourselves how potential state reorganization will affect us and the wider class struggle and what exactly we should be doing and arguing as the independence debate increases in intensity. This requires collaboration and discussion among anarchists in Scotland but also with comrades elsewhere and so here I only offer a few of my own opinions on the question. We don’t deny that Scotland is a nation but that nations are not something communists can support. They are always in some way defined by and tied to the state and are a means to bring about cohesion and identity across classes. Although often termed the ‘stateless nation’, the different cultures, regions and classes of Scotland were given an imposed unity by the pre-1707 state which was thereafter maintained from above through the continuance of a number of institutions and a semi-autonomous bourgeoisie and, contradictorily, from below by resistance to British centralized power and cultural uniformity. When the benefits of empire had declined after the Second World War and oil wealth was discovered off the north east coast, there was a stronger capitalist case for increased autonomy but also growing popular disillusionment with centralized British state provision – underlined by Thatcherism’s attacks on the social wage and traditional heavy industries. Together they coalesced into a resurgence of national feeling which culminated in devolution at the end of the 20th-century. This has only increased the momentum of Scottish national feeling and nationalism: more state power, in this case, encouraged and required the emphasis of the national entity and vice versa. The SNP has been following a balancing act. Firstly, it appeals to the working class through social democratic policies well to the left of any Westminster party. In an independent Scotland, they claim that the British nuclear arsenal would be removed from the country, Scottish troops would no longer be sent to fight in places like Afghanistan, the government would prioritize renewable energy and the welfare state would be defended. At the same time, they pander to any businessperson willing to back them, aim to cut corporation tax and make Scotland more competitive (i.e. 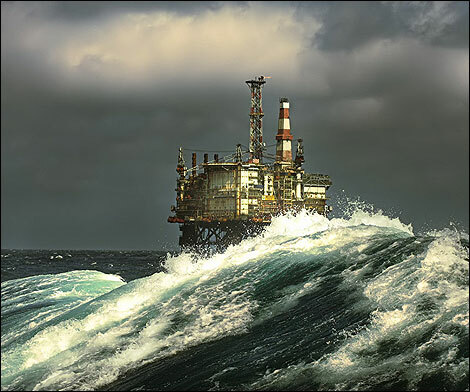 intensify the exploitation of labour) and, despite their environmental image, fully support the expansion of the oil industry through potentially disastrous deepwater drilling. This contradiction is summed up by Alex Salmond posing as he listens sympathetically to community campaigners and then hobnobbing with the likes of Brian Souter, Rupert Murdoch or Donald Trump (before that blew up in his face). What should anarchists be doing? I’ve been involved in a few ‘don’t vote, organize’ campaigns in past elections but there isn’t much of a case for actively campaigning against independence – especially since it’s unlikely that an open Scottish border would impede cross-border solidarity. To do so would be to de facto support the Unionists and it needs to be emphasized that each side of the debate represents a different nationalism. In truth, I don’t feel strongly about people voting in the referendum. If they think it’s worth the chance of, for example, finally getting rid of the nukes, rather than buying into nationalism, then I can understand that. As anarchists, we obviously shouldn’t argue for voting but nor should we fetishize the act of not voting. Of far more importance is that we are outside of the narrative and critique all political managers. The Unionists (Labour, the Tories and LibDems) already come across as a crowd of imperial stormtroopers offering nothing but more of the same. However, especially since the left are unequivocally backing Scottish nationalism, there’s been little in the way of a challenge to the pro-independence camp’s claims or rhetoric of offering a social democratic alternative. Are we to believe the SNP will be different from other politicians and live up to all they promise? An independent government will have a substantial debt and still face the wider economic crisis; it will therefore have to rationalize its budget, drop promises and make cuts. We need only look at their current record to see this in action: although Scotland under the SNP has frequently been described as a safe haven for the welfare state in comparison to England there have been considerable cuts in NHS Scotland and an appreciable rundown in the service hospitals provide. Similarly, the SNP have been involved in cuts to services in councils across the country. This is, of course, what political managers have to do. Scottish nationalists of all stripes claim that independence will represent a dramatic extension of democracy. Needless to say, ‘we’ will not have control over our own destiny if Scotland were to gain independence. Talk of Scots ruling themselves and of self-determination is an appealing rhetoric which masks the continuity of the class system: the working class will not suddenly become empowered but wealth and power will remain concentrated in the hands of a few. It is possible that independence will allow for social movements in Scotland to have a greater degree of influence but there will also be new opportunities for these movements to be co-opted. The decision-making power of the Scottish state itself will always be subject to the vagaries of global capital, the movement of transnationals, the bullying of London and controlling eye of the EU and IMF. More importantly, having a smaller nation state won’t lead to ever smaller democratic units and it won’t replace representative democracy with participative, direct democracy. To suggest otherwise is simply naïve, and misunderstands that working class people can only gain power for themselves through struggle. The democratic myth is a large part of leftists’ justification for supporting an independent state. The Scottish Socialist Party sees it as a means for rejuvenating their brand of parliamentary socialism which, relying as it does on electioneering and the state, is basically a vision of Old Labour in a Scottish context: nationalization, progressive taxation etc. Capitalism, as always, isn’t actually threatened, it’s accepted with the hope of greater state intervention and welfare. One of their platforms, the Republican Communist Network, bends over backwards to argue that Scottish independence is part of a strategy for ‘internationalism from below’. In this view, secession would be a significant attack on British imperialism. But British imperialism is a pale shadow of its former self, probably doesn’t require Scotland and isn’t of intrinsic importance to capitalism anyway. Simply put, there is no reason to believe that in an independent Scotland libertarian socialist organizing would be in real terms any easier or that because of its existence we would see an upsurge in class struggle. Having the political class closer to home doesn’t necessarily make replacing them any less difficult. If anything, the intensification of the nationalist project championed by all apparently ‘progressive’ opinion could have a significant effect in mystifying power and class relations and undermining the self-organisation of the working class in favour of its passivity and support for new forms of failed ideas. The best way we can put our case across is not through debate of abstract beliefs but through our ideas being embodied in actually existing organization and having the ability to achieve small changes through direct action and build on them. The success of workers’ solidarity in Scotland will be vilified equally by nationalists of both sides of the debate but supported by militant workers in England and the rest of the world. Lastly, I mentioned that Scottish national identity was in part maintained from below. What I mean by this is that the working class did experience cultural and political oppression as well as economic exploitation and that in Scotland they often reacted to this by relating it to concepts of national difference. Throughout modern Scottish history, workers’ movements have used the idea of a Scottish nation, some form of home rule, or even a socialist republic as a means to advocate their own power, cultures and meanings in opposition to centralized control. For anarchists, this was an alienated resistance which could never have challenged the real basis of their oppression in class society. Instead of writing off these movements, however, we can recognise that wrapped up in the rhetoric is a genuine aspiration for self-determination. We need to argue against Scottish nationalists or anyone who pushes state solutions from co-opting the term ‘self-determination’ because it could only ever truly mean workers’ directly democratic control of society. Originally posted on Glasgow Anarchists blog.